Casters are used to create mobile scaffolding. They must be secured to frame legs. 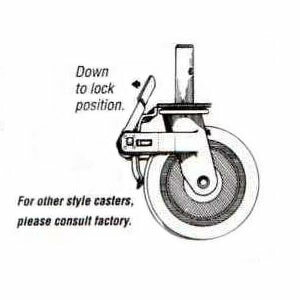 Casters have rubber tires that swivel and are equipped with locks.